Curry rice (curry and rice / kare-raisu) is a very popular dish in Japan. 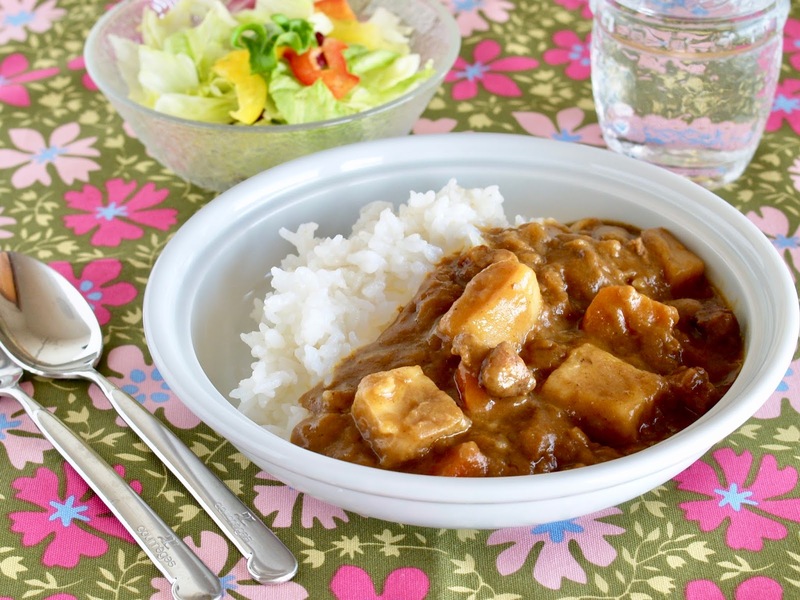 According to the statistics, we Japanese eat curry rice twice a month!!! 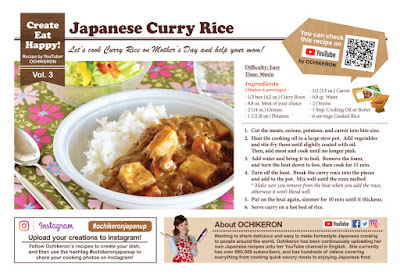 Today, I will show you how to make basic curry rice. More curry rice recipes are coming, so don't miss them and I hope you enjoy! 1/2 box = 119g (4.2oz.) House Vermont Curry Sauce Mix (Med Hot) *we call it "curry roux". you can choose mild or hot as well. 2. Heat the cooking oil in a large stew pot. Add onions, carrots, and potatoes, and stir-fry them until slightly coated with oil. Add meat and cook until no longer pink. 3. Add 850ml water, bring to a boil, remove the foam, and turn the heat down to low and cook for about 15 minutes. 5. Then put on the heat and simmer for about 10 minutes until it thickens. 6. Serve curry on a hot bed of rice.